Comes in 1/8 oz. size with Eagle Claw® Light Wire Platinum Black Hook. 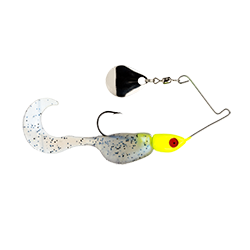 Kit includes 1 bait with 2 Shadpole® CT bodies.